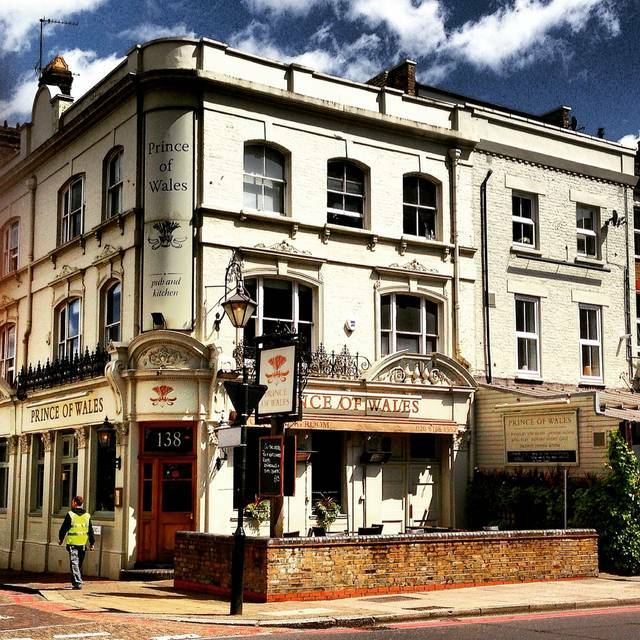 Situated in Putney, south London, The Prince of Wales is a pub with a truly diverse offering. Whether you visit us for lunch, dinner in our restaurant, or a drink in the bar, you will find a wide selection of lagers, real ales and wines, modern, fresh cuisine and one of the best selections of spirits in London. Our team is young, passionate, knowledgeable and above all friendly. The Prince of Wales is located on the Upper Richmond Road in Putney, we are equal distance (200m) from both East Putney (district line) tube station and Putney main line overground station. We also have a strong relationship with an excellent/competitive local Taxi company to help take you home late if you wish. 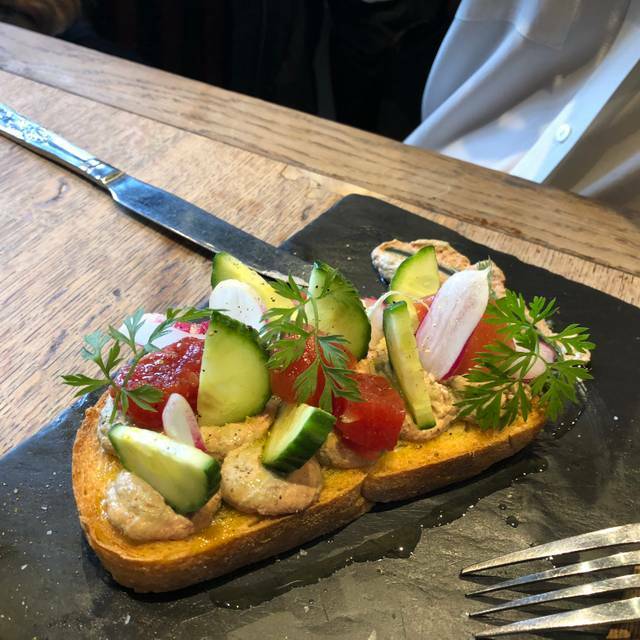 It is s lovely pub great position but I thought the Sunday toast was not one I’d go back for, I ordered pork which to me means crackling, it arrived s big piece of dry meat with wet soggy crackling when I asked if it could be cracked up they said no. Then the crumble we asked for custard no again, shame as we are big Sunday launchers and this would have been a regular. Very disappointing. We have eaten here many many times but had not been for a few months. The menu is unambitious and the cooking lacklustre. Chicken leg with chopped up sausage and beans was like ‘nursery tea’. They used to do high quality pub grub and a few interesting dishes as well. This was blah. Bit disappointed to be given a table right by the door on a cold day despite having booked in advance and some other tables empty. Everyone had a roast which were good - plates piled high. Pudding menu was a bit limited though. Service great and were able to linger over coffee. Definitely worth a second visit. Good Sunday lunch before the rugby. Outstanding scotch eggs! Really good pub and food. I have been here before and was happy with the experience. Service was very good. I am a vegetarian and ordered the roast, as did my sister. We found the portions quite small and the roast potatoes underdone! It wasn’t overly busy, and when questioned we didn’t get an explanation. Really tasty vegetarian option and friendly, attentive service. Such a lovely local ! good atmosphere, decent choice of food for both pescetarians and "normal people". Good service, and good value for money. Wine list was good also, gin mixers were good. 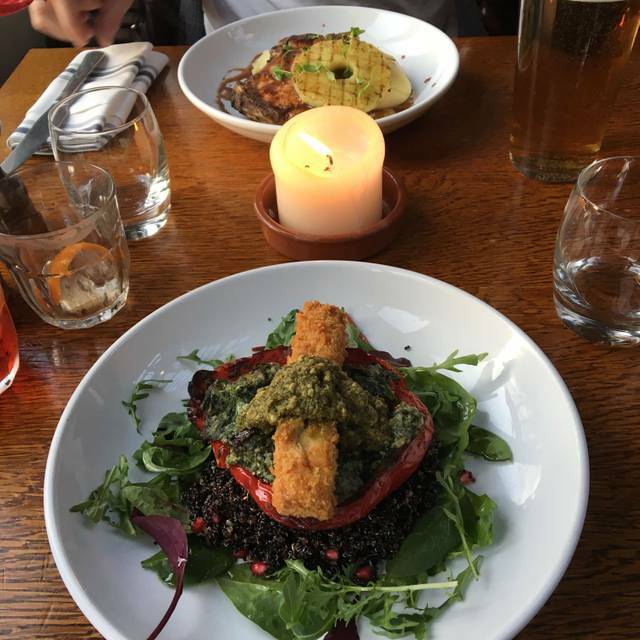 Excellent tofu starter! I had a Christmas meal here with some friends and we had a wonderful time. We each had the 3 course Christmas meal option, which in total came to £28.50. Which is a very good price in London Restaurants! We were also able to provide our own wine, and had to pay a small fare for corkage. The food was delicious, well cooked and came very quickly. The staff were very friendly and attentive. Thank you Very much everyone at the Prince of Wales, we'll be back soon. Burger was very greasy -not the same standard as when I’ve had it before. Chef’s excuse was it was because I didn’t have a tomato -not a good reason for so much grease. Scotch egg was delicious. Waiting staff very nice. I've been here loads of times- this was a disaster. the mezze platter was tasteless and we could not be bothered to eat it. the spicy chick pea and cod had hard chick peas and the whole meal was cold. we sent it back and ate the chips. As ever the staff were lovely though. Very good Sunday lunch with great service. Roast beef was delicious! Would def return. 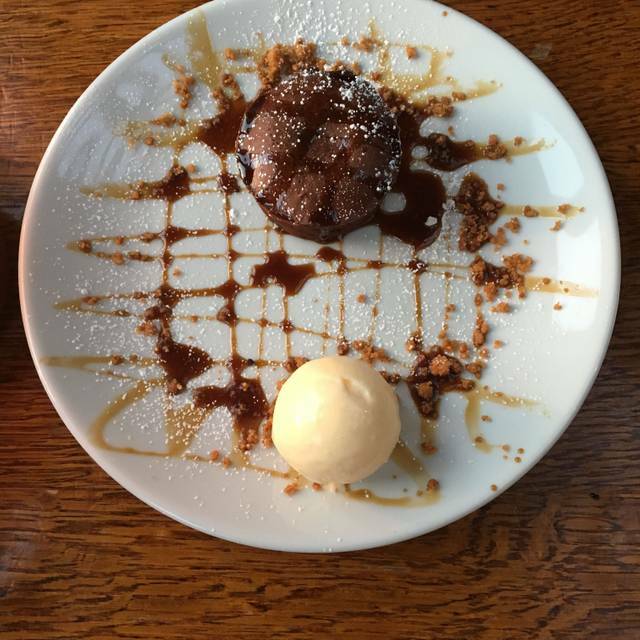 We had the roast dinner and sticky toffee pudding - Great service, great food and good value. 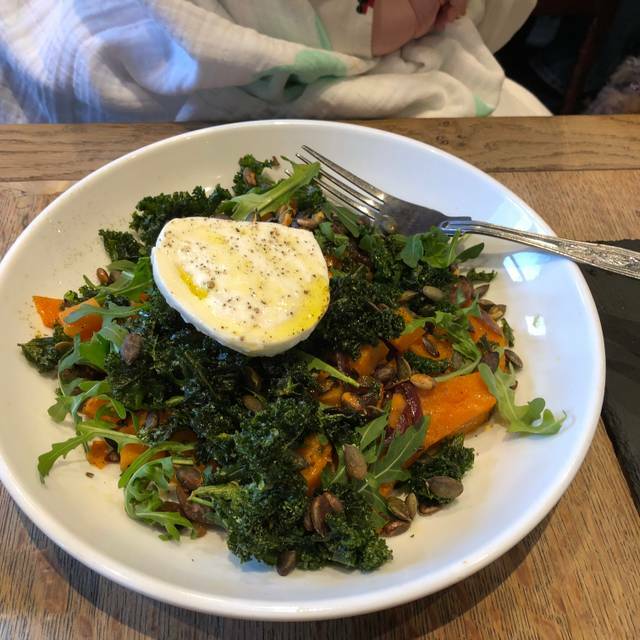 Used to come here all the time and whilst the kitchen doesn't seemed to have changed to much, service in the restaurant area is awful compared to a year ago. My parents like to come here and we're really disappointed. Chips were cold as we watched one of our meals stand for 5+ mins whilst they finished the rest. Id rather eat at different times than have something cold. And others who ordered after us were served first. Given we were the first table to be seated and we'd flagged we needed to leave at a certain time, I expected better. Instead we had poor food and had to get an uber as we were late for the fireworks - definitely not good value tonight. Excellent Sunday roast, has a good value set deal for Sunday’s. Need to book as lots of people coming as walk ins! The beef quality of the beef roast was very poor. very different from last year. Chewy and couldnt eat half of it. Bit noisy, but the food was excellent. Not particularly adventurous, but the menu is proper upmarket pub food. Decent beer on draught and a sensible wine list. Overall very good but at least one more vegetarian option would be good. The food here is amazing. Never disappoints. Just delicious. The staff are always friendly, helpful and efficient. The food was really bland and simple for the cost. It used to be super but was disappointed in the options and the food served. £17.50 for a salmon nicoise of a plate full of mayonnaise covered green beans, an egg, piece of salmon, a handful at most of jar olives and about one potato chopped. Just a bit of a shame really! Sadly, we left before eating or drinking anything, because we sat there at our table in an otherwise empty dining room for over 20 mins without anyone offering us a drink or asking to take our order. This is what it used to be like here before they seemed to have sorted themselves out, but they’ve gone backwards again. Sad, because the food and service here had become exemplary. Even when we left, and said goodbye, they didn’t try to get us to stay. I can only assume that we were simply not welcome in the first place. Despite being on a busy Putney Road, the Prince of Wales is spacious and airy, with a lovely vaulted glass roof. Simple, elegant wooden tables and floor, photos on the wall. We had Sunday lunch: the menu offered plenty of choice, and portions were very generous. 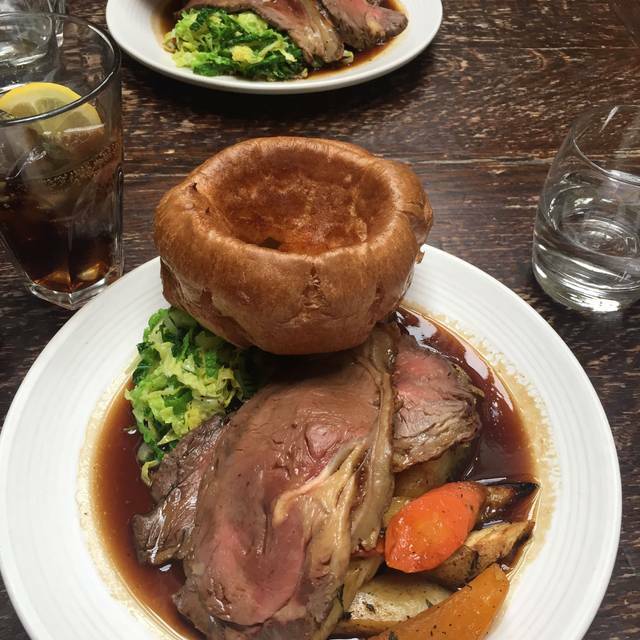 Every roast came with Yorkshire pud. Nothing fancy, but good home cooking. The wine list was a bit more hit and miss. We missed with the Soave, but the Cotes du Rhone was good (even though it was a '16 when the list said '15: both are excellent Rhone vintages.) The staff were friendly and attentive - this a welcoming and sociable neighbourhood restaurant and deserves to flourish. we go here all the time. It's such a safe bet. Every time the food is spot on, the beer well kept, and everyone who works here makes you feel relaxed and at home. Paul runs the place, and is especially friendly, which is why I think everyone else is so nice.. This time, as busy Sunday lunchtime, we were quote a biog group, with a dog and a baby (!! ), but that was no problem for the POW, as they seated us in a big open area so that we could spread out and not feel ie we were in anyone's way. The roast pork was amazing, and the fish & chips was superb. Everyones meal was exactly as we'd hoped, and was served piping hot, with everyone's meals arriving at the same time. Quite an achievement. you may see other reviews I've left for this place. I'll keep leaving great reviews, as these guys richly deserve them. Food is consistently brilliant at the prince of Wales. Seasonal changes always made to menu as well as specials. Everything made fresh to order. Good wait time between course, not rushed. You can see into the kitchen where chefs are cooking which is always good to see. Seasonal produce and high quality food. Staff always friendly and welcoming, they have a good knowledge of food and drinks they offer. Yet another great meal, this time a Sunday roast, at the prince of Wales. Took the family and my parents this time. Everyone, including my fairly particular parents, had a wonderful meal. Absolutely noting to fault. Paul, who was running the place that day, looked after us personally and amazingly. Top notch service, banter, smiles and enjoyment. Keep up the great work POW! This is my favourite pub in Putney, not only because they love dogs, but because they’re so accommodating and friendly. The food is amazing and they have a great selection. The pub has been both quiet and busy when I’ve been and you are still able to hear each other when busy. It has a lovely clientele who visit from all walks of life and it is a really nice place to catch up with friends. It also has an outside but you can sit with pretty fairy lights outside the front for hotter days. I highly recommend it! Food was excellent and staff friendly. I recommend this place for a Sunday roast. The roast beef was excellent, as was the cod with a pancetta stack. Excellent puddings as well. The was a good selection of beer and the Mad Goose (by Purity) was well kept. Welcoming staff, I would definitely use it again if in the area. Great roast, good value. Dining area was nice but slightly cramped location for our table. Amazing food but the dining room was very very cold !!! Such a great place. Food and service superb as always! Really fabulous food and service. We live opposite, and avoided this place for food (the beer has always been great) for ages. 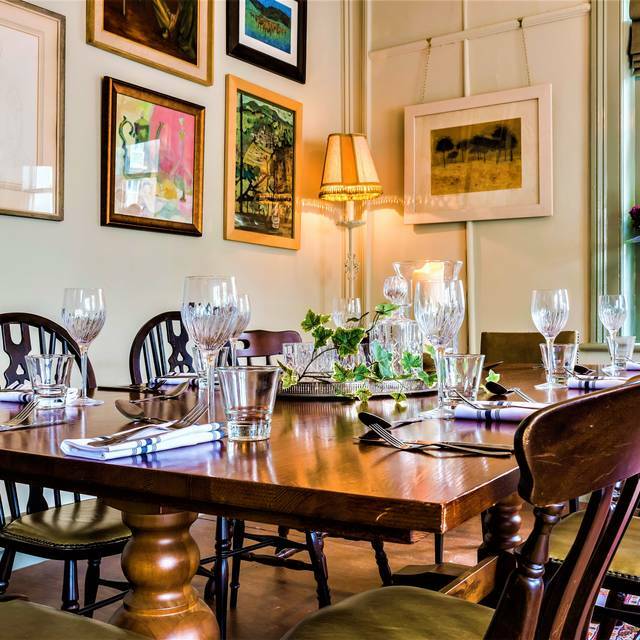 The food and service is now top gastro-pub standard. Chicken liver parfait with pickled watermelon (yes, pickled) is sublime. 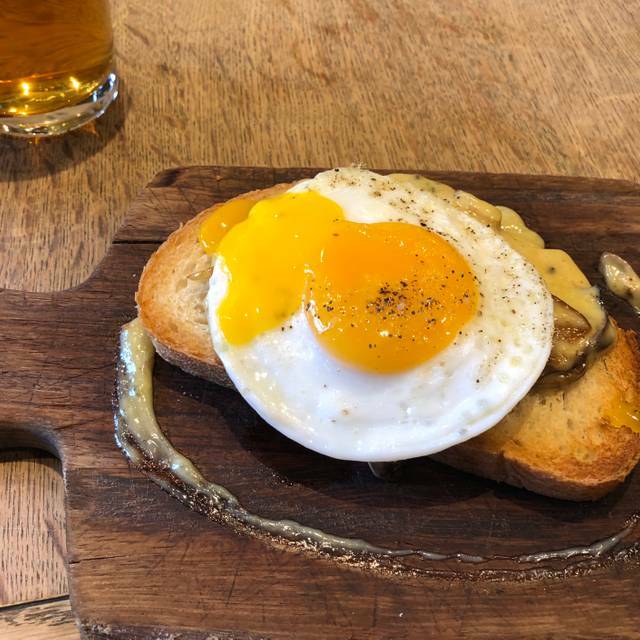 As is the wild mushrooms with Stilton on toast, topped with a runny-yolk duck egg. 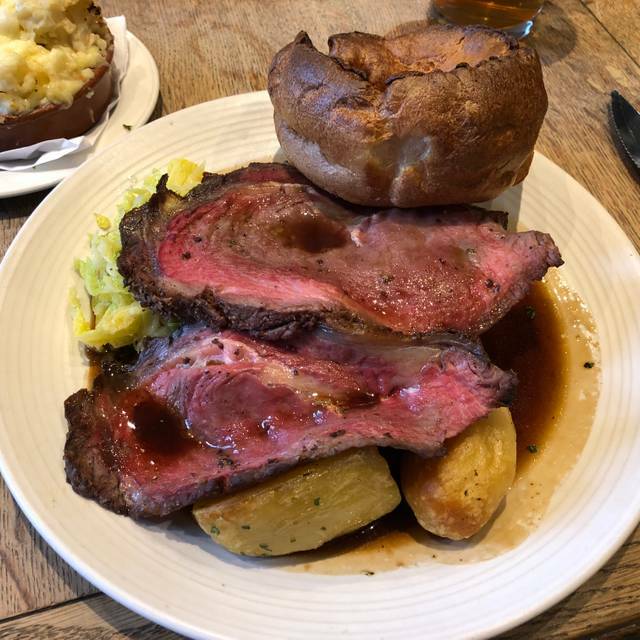 Mmmmm Sunday roast is, for me, all about very pink beef and sticky proper gravy (chef told me he makes his by roasting a whole carcass for 24 hours then stewing it for a further 12 hrs. So, a change in management, and/or chef, and this place is transformed. This will be our go-to for a loooong time. Keep up the great work folks!!! Very friendly staff and food came out in good time. We had starters of chicken parfait & a goats cheese salad, both were fantastic. For main t-bone steak was a little fatty and cajun chicken burger was very nice. Great food in a cosy setting. The chorizo scotch egg, venison and hot chocolate fondant highly recommended!